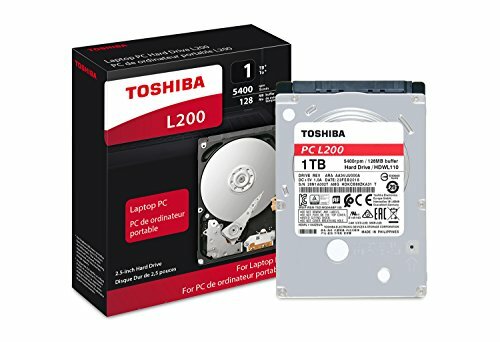 Toshiba's L200 Laptop PC internal hard drive is designed for everyday laptop users and gamers, providing a convenient and reliable way to expand the storage capacity of your notebook computer or games system. It delivers large storage capacity in a compact 2.5-inch form factor, allowing you to hold more game data and files on the go. The L200 includes internal shock sensor and ramp-loading technology to help protect your drive and data from harm. Plus, this drive has a low power profile (compared to 3.5-inch hard drives) to help optimize the device's battery life. The Toshiba L200 is a great storage solution for various compatible laptop computers, gaming systems, and external storage devices.